There is a great deal on this Waring Pro WMK300A Professional Stainless-Steel Belgian Waffle Maker and now with an additional $7 coupon it takes the price right down to $59.23. The list price on Amazon is $130. 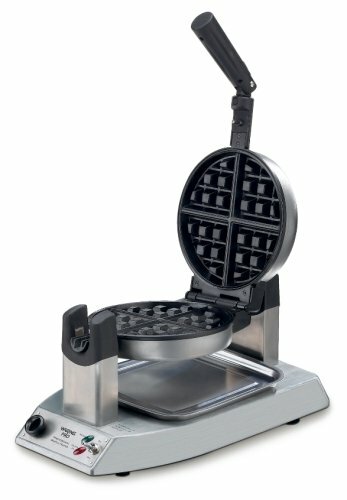 I have used one of these waffle makers (the double version) and it was really easy to make great waffles. Also very importantly, easy to clean up. The construction seems really sturdy and built to last. To get the additional $7 discount coupon make sure that you are logged into your Amazon account.